This restaurant has been a popular choice for discriminating diners for years, and it’s an Ozarks’ institution. You will not find a better spot in the Ozarks for trout and seafood, and their steaks dinners are to die for! The Devito Family welcomes you to visit whenever you’re in Harrison. They are located off Hwy 65 North, at 350 Devitos Loop N, Harrison. For reservations call (870) 741-8832. 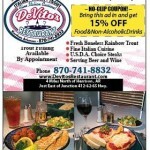 You can learn more about Devito’s menu online at DevitosRestaurant.com. This place is on the National Register of Historic Places in the U.S., and it’s a must-stop destination in and of itself. Their slogan is “Feedin’ Y’all Since 1909” — but forget about how old this place is… the new owners have spiffed up the restaurant and introduced an amazing new menu. It’s like a brand new place now. The food is delicious and the great atmosphere makes any visit complete! We recommend any of their chicken-fried dishes (our favorites! ), as well as the original Excaliburger — a 1/2 pound burger cushioned between two grilled cheese sandwiches with a tangy special Ozarks sauce. Everything on the menu is great. Click here to visit their website. This cafe is wonderful, and 5-Star testimonials from a ton of their satisfied customers prove how much customers love the food here. The owners have completely renovated this old-time bakery, and everything on the menu is fantastic. They bake everything from scratch. You can order breakfast, delicious baked goods all day long, delightful fresh salads, and enjoy amazing pizza that will keep you coming back for more. Recently, they added giant hamburgers to the menu, and you won’t go away hungry. 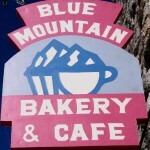 You’ve got to stop in and try this place when you’re hungry in Jasper…. or if you just want dessert and coffee while you’re passing through! The staff is so friendly you’ll think you’re back at home. You’re sure to be back! Click here to check out their daily specials on their Facebook page. or click here to view their online menu. Lori’s at first sight seems like any other small town cafe, but once you step inside you’re introduced to an amazing selection of choice steaks and lobster on their dinner menu, fresh coffee and breakfast in the mornings, and delicious foods all the rest of the day. This is an excellent place to meet up with friends, it’s definitely worth the drive. Check out the high-marks people give them after dining at Lori’s. You can be assured you’ll love it as much as they do! 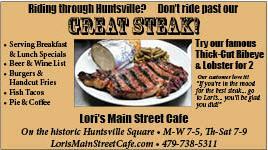 Check out their Facebook page here at Lori’s Main Street Cafe. Great BBQ, hamburgers, icy cold adult beverages, live music, fun times with friends, friendly staff… what else could you want? 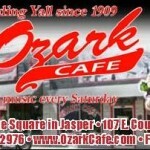 It’s one of the top spots in Eureka Springs all year long. Great food. Plenty of free paved parking. You won’t be disappointed meeting up with friends here! Check them out next time you’re in Eureka and you’re feeling hungry. Click here to visit their Facebook page. These two businesses are owned by same folks. One location is on the west edge of Eureka Springs, and the other is located in downtown Eureka Springs. At either location you’ll enjoy good food, fun times, live music and you’ll make great memories. You can get ‘Rowdy in the Ozarks’ as often as you like, and we’re certain you’ll enjoy yourself here. Check out the menu to the Rowdy Beaver Den here: Rowdy Beaver Den Menu. You can also click here to go to their website at RowdyBeaver.com and you’ll discover their delicious menu items and their hours of operation at that site. Biker-friendly and glad to have everybody stop in! 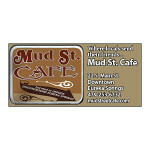 The Mud Street Cafe is located downstairs off the busy main street on an historic location in downtown Eureka Springs, and its reputation for serving great food is legendary. The decor is unique. The service is top notch. You’ll enjoy everything on the menu. Plus, it’s such a great experience to dine here, and we love the coffee and desserts. You’ll remember The Mud Street Cafe long after leaving Eureka. click here to view their website. You’ll love the authentic Mexican dishes cooked from scratch here. Famous for their sizzling fajita plates, and the combination dinners and lunches are awesome. Breakfast menu is a hit with riders, try it! They are located off Hwy 62 (on left side of curve as you come into Yellville from the west); look for the sign. They are now serving beer to enjoy with their delicious dishes. Call ahead for carrying: (870) 449-8226. You can learn more about this great little restaurant that is sure to please at Laura’s Mexican Kitchen Facebook Page.